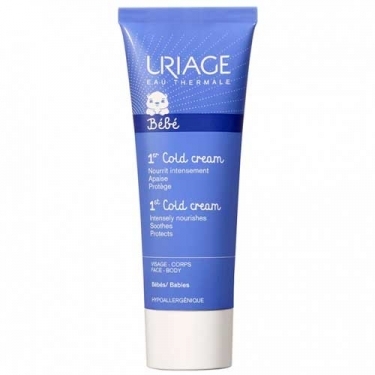 DESCRIPTION: Cold Cream - Crème Ultra-Nourrissante from Uriage is an ultra nourishing cream for the skin of your baby. 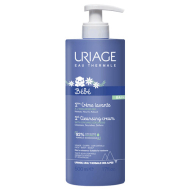 Formulated with Uriage Thermal Water, Glycerin, Beeswax, Petrolatum and Paraffin Liquid, nourishes the skin of the face and body while protecting it from external aggressions (wind, cold, water limestone). Hypoallergenic and non-comedogenic. Without perfume. 96% effectiveness in children after testing Cold Cream. * * Study carried out under pediatric control on 22 children. Evaluation by pediatricians. Apply whenever necessary in the face and the baby's body, clean and dry.